Walter Shapiro, in the New Republic, concludes that the Louisiana primary marks the end of Newt Gingrich’s quest. “There are no third acts in American politics.” Shapiro opines. Despite Newt Gingrich’s best efforts, it looks like the world is going to have to save itself. Unfortunately, I tend to think he is right. For a while, it looked as if it was actually possible that Newt Gingrich could use the power of debate to re-shape the trajectory of the primary contest and the election in his own favor, that he could singlehandedly move our political process out of the modern sound bite and electronic image era and back into the era of verbal discourse and the contest of ideas. Gingrich, however, also deliberately threw the first punches below the belt, attacking Romney, forsooth! for capitalist actvivity. 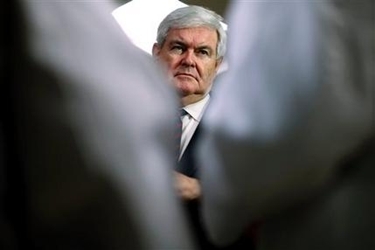 Gingrich’s attack ads seem to have reminded Republicans of some behavior giving the impression of opportunism in the past, and a variety of prominent conservative and Republican figures responded with a devastating, highly coordinated attack from which Newt never really recovered. Gingrich was clearly a flawed candidate. 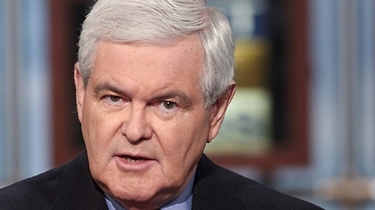 Of course, they are all flawed, but Newt Gingrich’s flaws are not being forgiven or overlooked. Then (yawn) proceeded to explain once again that conservatives are that way by virtue of our inferior incomes, education, and class status. Gosh, if that were really true, shouldn’t the liberals love us and be actively promoting compensatory programs to get conservatives into more influential jobs and to provide them with greater congressional representation? As far as I could see, the only worthwhile thing in the article was a good anti-Gingrich zinger. “[O]ne is a practicing polygamist and he’s not even the Mormon,” retired Supreme Court Justice Sandra Day O’Connor recently quipped about her party’s two frontrunners. 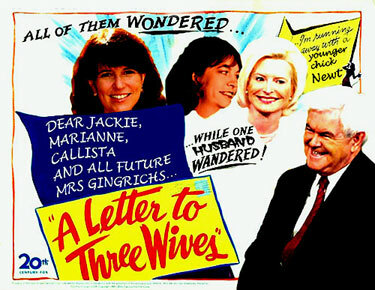 Newt Gingrich gets the Gilbert & Sullivan treatment in this moderately amusing video. Former democrat congressman (he lost in 2010) Alan Grayson is a loudmouth bolshevik, but he’s right on the results of the Florida GOP Primary. [T]he GOP is leaving Florida worse than it arrived. I’d say though that it started in South Carolina, when the Gingrich campaign took the low road and started attacking Mitt Romney using the left’s anti-capitalist, class warfare arguments. The massive counter-attack on Gingrich, featuring prominent Republicans, former Congressional colleagues, and conservative pundits, which stooped to utilizing bogus democrat party ethics charges fabricated in the late 1990s for purely partisan advantage was effective and appalling. We came into this presidential campaign, essentially with an economy-based free “Elect One President” card which ought to have made this race a relative walk-over and a complete sure thing. Our only problem has been the conspicuous absence, for many years, of a respected, confident and articulate, national figure conservative candidate. For some unaccountable reason, no one has come along to occupy the role once filled by Barry Goldwater and later by Ronald Reagan. Newt Gingrich, for instance, did not really enter the race with that credential. I tend to think that Sarah Palin may yet grow into the role, though she is not there yet. Her declining to run prematurely speaks well for her judgment, and Palin has since 2008 been doing the kind of thing no conservative since Reagan has done: she has functioned as a reliable and effective voice for the conservative movement, and has had regular impact on the national political debate from outside elective office. We Republicans and conservatives ought to be filled with optimism and resolve at a point in history when it is clear that we are going to have an opportunity to change the country’s direction for the better, but instead we seem to have no leadership, no principles, no really satisfactory candidates, and no class. We clearly have too damn many slime mold professional campaign operators, too many spiteful and grudge-bearing has-beens, and too little genuine leadership. The Republican Party, the Conservative Movement, and the country want the kind of leader who makes, not only our economy, but our politics better, the kind of man who leads and inspires. If Gingrich and Romney persist in what they’ve been doing, they may yet re-elect Obama. Emory King sticks up for Newt and proposes a new standard of electoral acceptability for the 2012 Presidential Race. I have not and will not post anything in support of a candidate for president. They all pass the Daffy Duck test for me and therefore will receive my vote once they secure the nomination. (The Daffy Duck test, by the way, is are they smarter than Daffy Duck and are they not named Obama.) 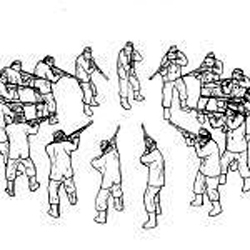 However, pundits assailing Newt are getting on my nerves. Not because he isn’t worthy of criticism, (he is) but because they are trying to tell me he isn’t a conservative. Really. Where exactly were these folks in the eighties and nineties? I was alive then and can’t recall anyone telling me Newt wasn’t a conservative then. If Newt isn’t conservative, why was he used as an example of how the left tries to destroy its opponents in Ann’s book Treason. I quote from page 123 of my copy, ” The left’s enthusiasm for destroying individual lives still sputters to life occasionally, driving their monumental crusades against Newt Gingrich, Ken Starr, and Linda Tripp, for example.” If people don’t want to support Newt for president, I certainly understand why. He isn’t perfect by a long shot. But please don’t sit here and tell me he isn’t on our side of the fence because most of his critics among the chattering class loved the guy in 1994. Jim Geraghty (via his email morning Jolt) remembers history a bit better than Bob Dole does. History will record that it was on January 26, 2012 that the Romney campaign high command looked at their tough spot in their battle against Newt Gingrich, and with a steely glint, exchanged knowing, grim looks, and nodded. I have not been critical of Newt Gingrich but it is now time to take a stand before it is too late. If Gingrich is the nominee it will have an adverse impact on Republican candidates running for county, state, and federal offices. Hardly anyone who served with Newt in Congress has endorsed him and that fact speaks for itself. He was a one-man-band who rarely took advice. It was his way or the highway. . . . The ice bucket was because Congress used to have “ice service,” i.e., taxpayer-funded U.S. Capitol employees had the job of bringing ice to offices that requested it. Newt and the class of 1994 ended that service, modest as the cost was, as a symbol of congressional excess and waste. How am I the only person who knows this? 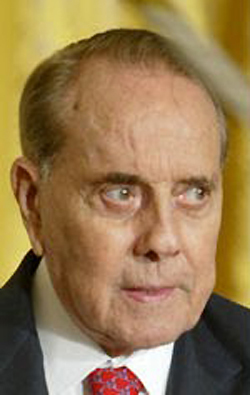 How is it that I know this and Bob Dole doesn’t? Rich Lowry compares the GOP’s favorite unfaithful husband to his former adversary in the White House. 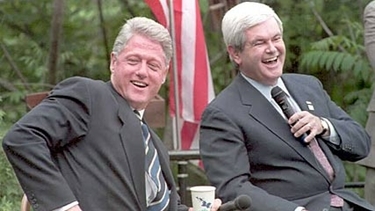 Newt is the Republican Clinton — shameless, needy, hopelessly egotistical. The two former adversaries and tentative partners have largely the same set of faults and talents. They are self-indulgent, prone to disregard rules inconvenient to them, and consumed by ambition. They are glib, knowledgeable, and imaginative. They are baby boomers who hadn’t fully grown up even when they occupied two of the most powerful offices in the land. Steven Gillon, author of The Pact, a book about the Gingrich-Clinton interplay in the 1990s, was struck by their “unique personal chemistry, which traced back to their childhoods.” Both were raised by distant or abusive stepfathers and surrounded by strong women. Both were drawn to politics and wanted to serve, in Newt’s case on a vast, civilizational scale. Both were allegedly sleeping around on the campaign trail before they had won anything. Yet their personalities are different. Growing up in an alcoholic household, Gillon notes, Clinton was a natural conciliator. Gingrich was given to defiance. Clinton was gregarious, a people-pleaser. Gingrich was bookish, a lecturer at heart. Clinton made his way in politics in the unfriendly territory of Arkansas; he had to dodge and weave and seduce. Gingrich climbed through the ranks of the House Republican conference; he stood out as a partisan provocateur. And so he remains today. He utterly lacks the Clinton soft touch. No one will ever consider him a lovable rogue. Quin Hillyer of the American Spectator says he’s the “Bill Clinton of the Right with half the charm and twice the abrasiveness.” Republican voters lit up by his debate performances believe he’s the most electable candidate, even though the three recent national polls show him with a favorable rating in the 20s. Presidents dip that low after they lose a war or before they get impeached. Newt Gingrich starts out there. And he ends by joining a growing chorus of pundits predicting doom, because Newt Gingrich is just too obnoxious to be electable. I will readily admit that I am personally biased strongly in favor of excessively talkative, intellectually condescending guys with overly large waistlines, and it’s obviously true that Newt is never going to win the Mr. Congeniality award. Yes, the American voting public does have a decided preference for smooth and handsome guys with positive charisma. But… I agree with the statements made frequently during the GOP debates that any of the candidates on that stage could defeat Barack Obama. Obama is going into next Fall’s election with an albatross of the US economy around his neck that nobody could overcome. Voters will be desperate and will find a way to justify voting for anybody offering change from the current administration and the current economic mess. When things really go to pot, the voters will throw the bastards out and give the other side a chance. You doubt it? Let me remind everyone: they elected Richard Nixon twice. Newt Gingrich may not be Cary Grant, but compared to Nixon he is Mr. Charm. R.L.G., writing in the Economist, wants to see the real ideological opponents square off and come out swinging. I’m with him. [W]atching Mitt Romney pivot to the centre with the smoothness of a consultant flipping to his next slide, a manoeuvre we can all expect him to execute the minute he wraps up the nomination, will be depressingly predictable. The perception that he will say whatever he feels he must to become president is not founded on sand. 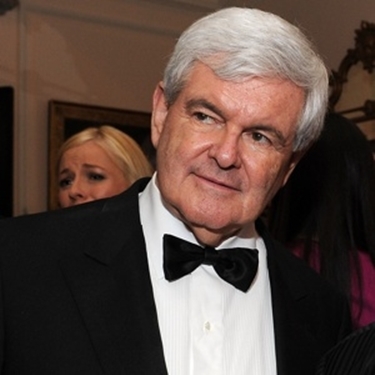 Mr Gingrich, by contrast, can almost certainly be counted on to be the same Mr Gingrich we’ve seen in the primaries. Say what you like about the man, but he has ideas, says arresting things, and most of all, would make the clearest possible contrast with Barack Obama in the general election. t I can very easily imagine Mr Gingrich repeating the “food-stamp” line in a general-election debate with Mr Obama several feet away. This would be a natural extension of his claim that journalists asking him questions about the story of the day was “despicable”. He is fearless, reckless, filterless; in any way, -less all of the things Mr Romney has too much of. 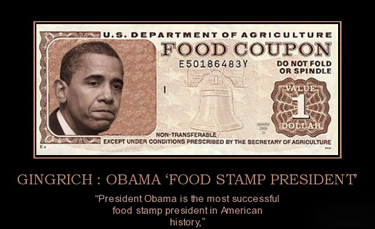 I want to see Mr Obama reply to “food-stamp president”, to the idea that annoying appeals courts should be de-funded, to the Gingrich claim that he is the most radical president in history, and so much more. I dread the scripted turns the election will take if Mr Romney is the nominee. I think America could use a straight fight between two boldly different visions of America. I don’t expect I’ll get my wish, but a journalist can dream, anyway. Byron York explains that this was a case of a nimbler, more effective campaign organization. Gingrich’s defeat of Romney in South Carolina Saturday was absolutely dominating. Just a week ago, Romney had a solid lead over Gingrich in the polls. On Saturday night, he lost to Gingrich by 12 points — a huge and disastrous swing. Gingrich won 44 of South Carolina’s 46 counties. Ed Rollins says that Mitt Romney never was a conservative and he can’t persuade people now that he is. Karl Rove thinks Newt Gingrich can thank CNN’s John King. After Newt Gingrich was declared the winner of the South Carolina primary Saturday night, Karl Rove suggested that the candidate has CNN’s John King to thank for his victory in the Palmetto State. But, certainly, Juan Williams deserves credit for an assist. Newt Gingrich has come to remind Bryan Preston of Abraham Lincoln’s response to demands that he dismiss Ulysses Grant because he was notorious for having a drinking problem. Like a Civil War general once accused of letting his personal problems get in the way of doing his duty, we may not be able to spare Newt Gingrich. He isn’t perfect, far from it. But he fights. That general later became president despite the accusations against him. For what it’s worth. Politico (cynically) observes Newt Gingrich’s unique ability to fire up a Republican audience. The former Massachusetts governor’s awkwardness was underscored at every turn by Gingrich’s fluent, flamboyant performance. Already surging in South Carolina polls, the former speaker won his second standing ovation from a debate crowd in a week and put himself in a position to win Saturday’s primary with another impressive showing. By twice castigating one of the right’s perennial boogeymen — the press — Gingrich made a gut-level connection with conservatives who think they get a raw deal from the news media. His blistering response to CNN’s John King about the accusations lodged by Marianne Gingrich might even offer a short-term lift. But the former speaker’s rejuvenation isn’t only a matter of being viewed by conservatives as the latest victim of the press. Just as he did when he first returned from the political grave last year, Gingrich is finding his voice by appealing to the mad-as-hell wing of the GOP that has been searching for a candidate to match and articulate its anger. “Newt’s Rocky Balboa — he doesn’t mind fighting,” added former Rep. Bob Livingston, a Gingrich adviser, after the debate. Romney is probably never going to be likened to a brawler and, in the long run, that may serve him well. If he gets the nomination, he may be the one most able to make the general election a referendum on President Obama. It’s a Gingrich ad, of course. the Archives of Never Yet Melted in the 'Newt Gingrich' Category.